Melting Point: 1369 Deg Cel. MILL SCALE AVAILABLE OF 69+ FOR PALLETS . Enriched by our vast industrial experience in this business, we are involved in offering an enormous quality range of Iron Mill Scale. To cater the specific needs of our clients, we are engrossed in providing Iron Mill Scale. It is a raw wastage product arranging from Iron rolling mill plant. We produce all Iron product (range) from material. 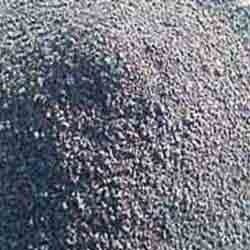 User/Uses:- Raw product mainly exported and also supply to ferro alloys plant, cement plant in all over india. Mill scale is formed on the outer surfaces of plates, sheets or profiles when they are being produced by rolling red hot iron or steel billets in rolling mills. Mill scale is the flaky surface of hot worked steel and is one of the wastes generated from steel plants, which get produced during the rolling of metal in various metal extrusion industries, it represents 2% of the produced steel. Iron Mill Scale provided by us can be installed conveniently and has lower maintenance needs. It is extremely convenient to use and is exceptionally resistant to corrosion and abrasion.